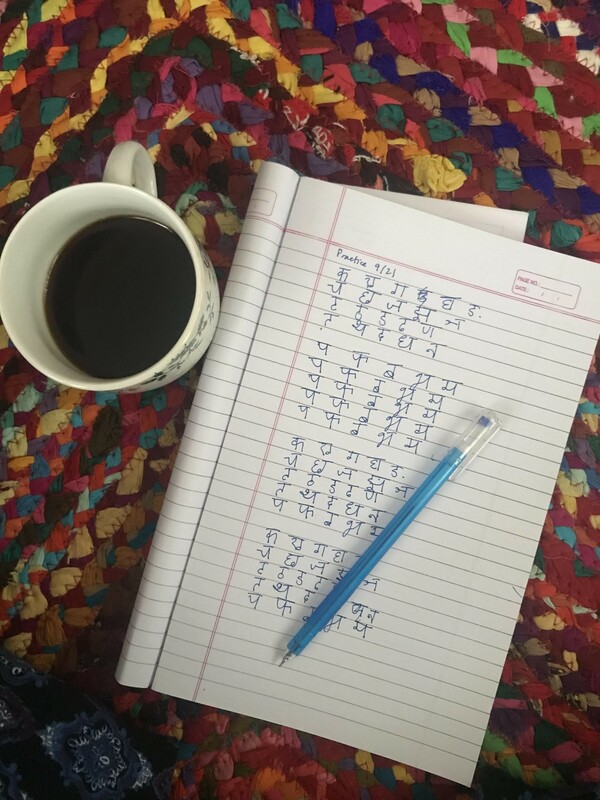 My Blog - What is it like to learn music in India? For the last three months, I have been immersed in the vibrant musical culture of Visakhapatnam, Andhra Pradesh. As an alumna of the University of Southern California’s renowned Thornton School of Music, studying music here in India is an exciting new journey (certainly a change from the Los Angeles music scene!). Here are a few thoughts and learnings from my time in Visakhapatnam. I am so happy I chose to pursue music. Being a musician is extremely fulfilling and uplifting. However, it is A LOT of hard work too! I start my days at 7:30am, and finish my last class around 8:30pm. My days are filled with voice lessons, theory and history courses, language tutoring, choir rehearsals, concerts, and long hours of practice. For musicians, practicing their instrument or voice is a never-ending task that takes a huge amount of dedication and patience. I practice singing and study my compositions for a few hours each day, and keep a practice log on a Google Sheet so I can keep track of my progress. Oh, did I mention, musicians don’t get holidays? Music classes are rarely cancelled for holidays, and I attend classes seven days a week. Most days, I collapse into bed around midnight, completely exhausted, but happy with the work that I have done during the day. Bright and early outside of BVK college— a little sleepy, but ready for the day! Studying music takes determination and grit, but it’s so rewarding when your hard work finally pays off. After days, months, and even years of working on something, the moment when it finally clicks is worth the countess hours of practice. The fruits of my labor are even sweeter here in India. Carnatic music is so new and different to me, that even the smallest victories are exciting. In India, I’ve also gotten the chance to share my progress in concert halls and classrooms. Seeing faces light up in an audience, or watching a student smile during a lesson is the best feeling. Knowing your musical knowledge can spark joy in someone else is the best motivation. When I remember my enthusiastic students, my passion is always renewed, no matter how tired I am. 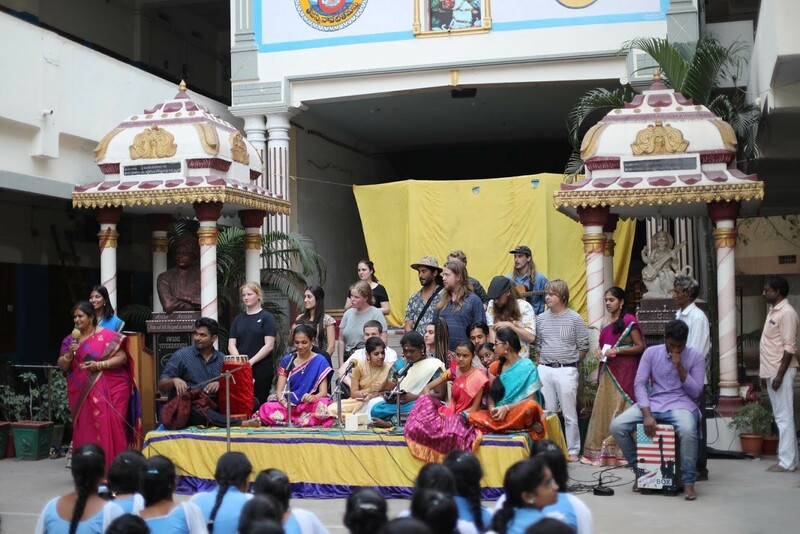 Learning music and sharing it with others in Visakhapatnam has been an amazing and unforgettable experience. 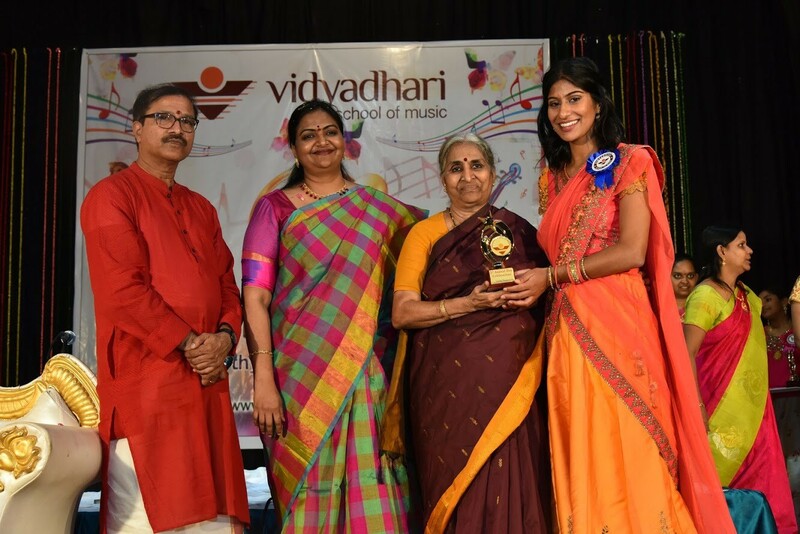 Receiving an award at Vidyadhari School of Music’s annual day. I had so much fun singing for the enthusiastic audience! 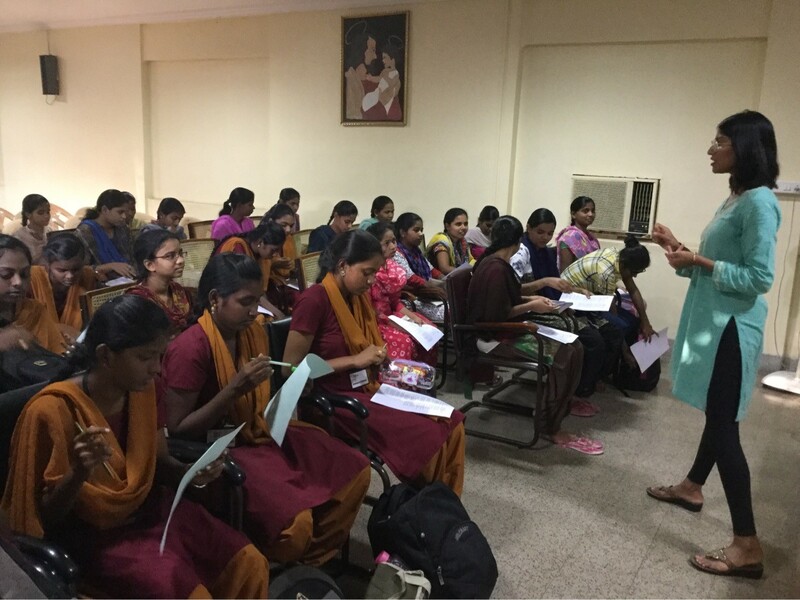 Teaching at St. Joseph’s College for Women— these students have the most beautiful singing voices. Before coming to India, I did everything I could do to prepare for the unknown ahead. I set up meetings with former Fulbrighters, met with a professor who was an expert at conducting research in India, brushed up on my Telugu skills, and began reading about Indian classical music. But that’s the thing with the unknown—no matter how much we think we can prepare, it’s never enough. My first month of classes was disorienting and challenging. At first, learning music in Telugu, an unfamiliar tuning system, and singing in languages I had never sung before was a daunting feat. It seemed like I couldn’t get anything right. Everything I sang sounded like it was choral music, not Carnatic music. There were even a few days where I asked myself, “am I supposed to be here? Am I the right person to carry out this research project?” Many musicians experience imposter syndrome, and studying a new form of music in a brand new country really exacerbated the feeling that I didn’t belong. However, as the days, and weeks passed I settled slowly into Visakhapatnam and into my music classes. Soon, my Telugu improved and I could stay on top of the class material. 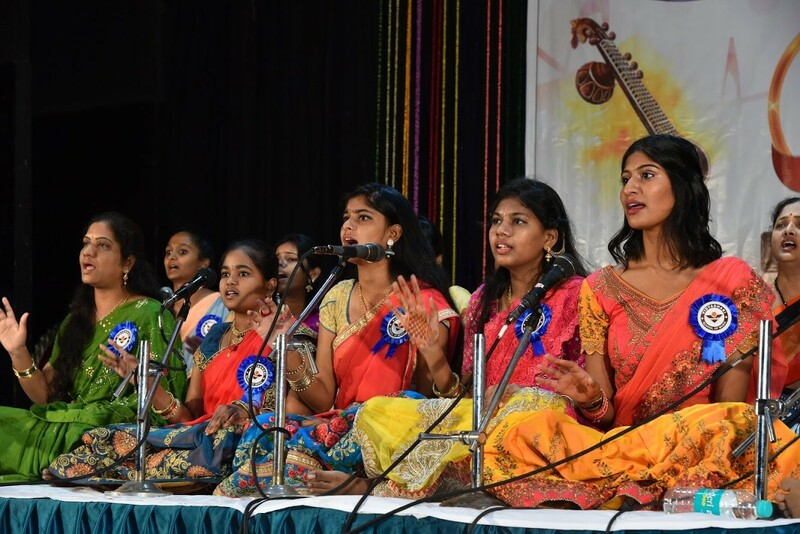 My tongue grew more adept at shaping Telugu and Sanskrit vowels and consonants, and my voice settled into the richly nuanced Carnatic style of singing. I still get discouraged sometimes, but I know that my discomfort means that I am in the right place. I acknowledge that things won’t always be happy or easy, but rather than thinking that means I’m not supposed to be here, I know it means quite the opposite. When I feel challenged, uncomfortable, or discouraged, it means that I am GROWING, which is the goal after all! 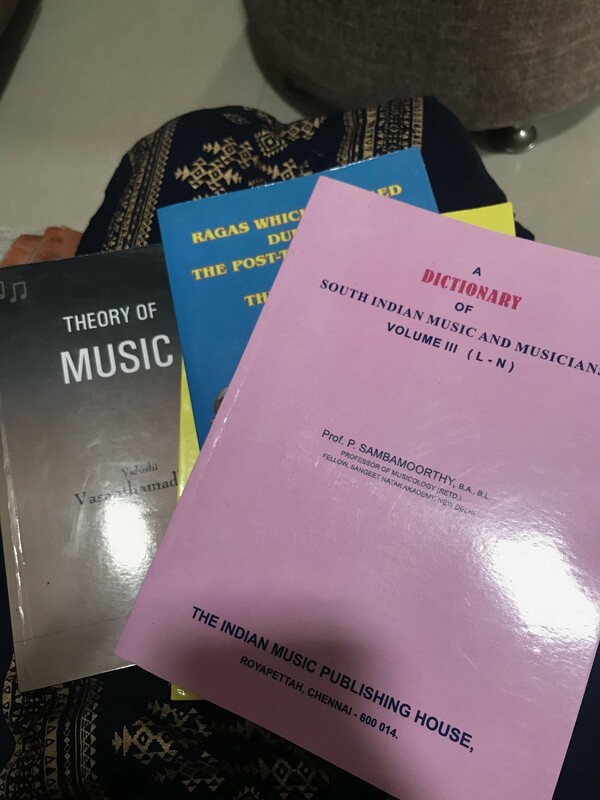 When talking to people about my research, I often get the question “so what do you actually do on a music research project?” Although I am learning to sing Carnatic music, there is more to my project than just singing! I do sing quite a bit, but there are actually many other things I have to study in addition to voice! Music is one of the most interdisciplinary careers out there. In addition to being proficient in an instrument or voice, musicians also study language, theory, history, pedagogy and more! During my time at USC, I took courses in voice, conducting, piano, theory, history, ear training, pedagogy, and more. 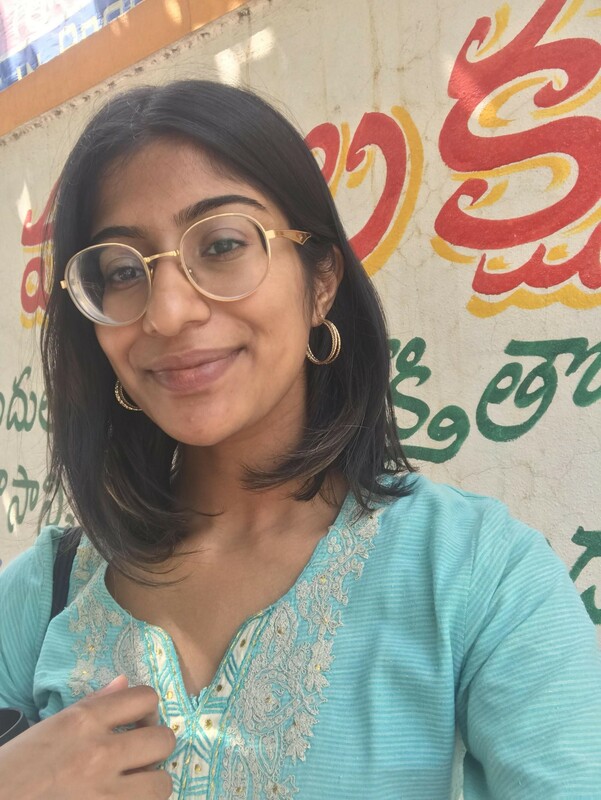 Here in India, I take Telugu and Sanskrit classes, private voice lessons, theory tutoring, choir, and study history independently. I am also taking a Hindu spirituality course on the weekends at my local Chinmaya Mission, to better understand the themes behind the pieces that I am singing. The variety of courses keeps me busy, but I am never bored exploring so many different facets of Indian music! Just a few of my textbooks! So far, I’ve talked a lot about how much work studying music is, but it’s definitely a lot of fun too. As a Fulbright scholar, I’m so lucky I get to completely dedicate myself to music this year. For most of my life I’ve been balancing music, academics, and extracurriculars (at USC, I balanced both music and business courses!) and here, I get to do all music, all the time. It is so uplifting and inspiring to fill my days with song. I’ve also had some exciting opportunities through music! Hindus have lots of holidays, which means lots of concerts! So far, I’ve performed in concerts for Janmashtami (Lord Krishna’s birthday), Ganesh Chaturthi (Lord Ganesha’s birthday! ), Diwali, and I have even done some Christmas singing. I’ve also had the chance to do some seasonal recitals, and I’ve loved sharing what I have learned with Visakhapatnam’s receptive audience. An experience that really stands out to me was just a few weeks ago, when a group of 20 Australian exchange students from Victoria University visited my affiliate institution, BVK college. To commemorate the exchange, I helped organize a fusion concert where BVK students and Australian students took turns performing songs that reflected their cultures. To close out the concert, I taught everybody a small Carnatic song that we sang with Indian and Western instruments in harmony! Being a bridge between these two cultures was a really powerful moment, and I can’t wait to play that role in my choral communities back home. These last few months have been so full of learning and growth, and I am so grateful for my musical family back in the U.S. and my new musical community here in India. I can’t wait to see what the next 5 months have in store! I’m in the background, getting ready to conduct our group piece!